I will admit that this Southern Raised gal is a shrimp lover. When it comes time for special meals, Surf and Turf is one that pleases both my husband and I. He gets his steak and I get my shrimp. However, it is always nice to try something a little different, like these Marinated Shrimp Bowls. This post contains affiliate links. No charge to use them; just there for your convenience! Having a giant bowl of deliciousness is definitely a trend I’m seeing. Those breakfast smoothies all over the internet are just the tip of the iceberg. Besides, who doesn’t like to have their food presented nicely in a large container? A bonus for those of us in colder climates is that we can wrap our hands around the bowl to warm them! Now, I’ll be the first to admit that when I make something for my family things are usually served from the stove top. I just can’t see getting a bunch of dishes dirty! However, when you are hosting a dinner party or other get together with friends, it is nice to spruce up the way you are serving the food. One option is to invest in some great pasta bowls for plating. 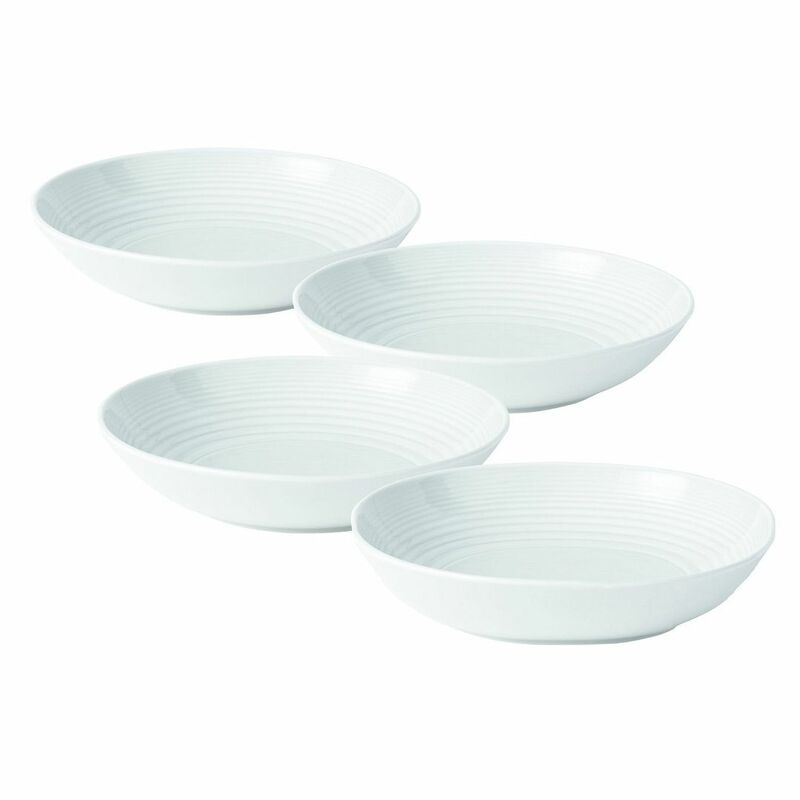 The Royal Doulton Maze Open Vegetable/Pasta Bowl (Set of 4) in White is perfect for my house. Although, I will admit that some color like their taupe color would help things to pop more. If you want to put things out on the table, then a complete 7 piece pasta set is perfect. Use the main bowl for the pasta and the other bowls to dish it up. Want to keep it authentic for an Asian night? 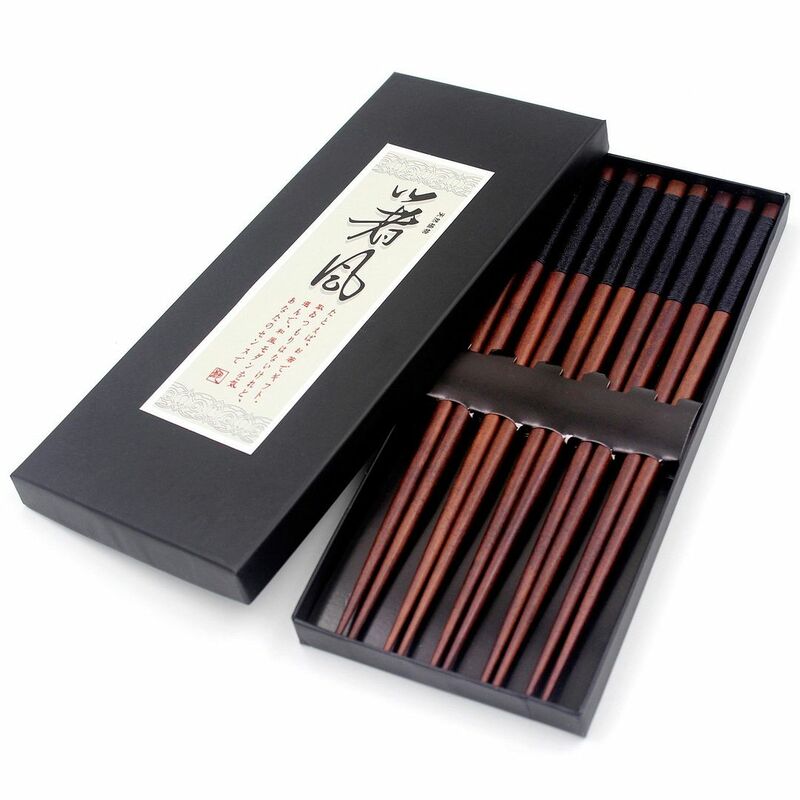 Make sure you have chopsticks instead of just forks! Some of my family members can eat with chopsticks while others need that fork handy. I do love the reusable options, whether stainless steel or bamboo. This recipe makes enough for a crowd. Or, a few hungry guys with their ladies. It is not a spicy dish as written. With the addition of a little Sriracha sauce, you can let each individual get the level of spicy they desire. Sriracha adds a nice flavor along with that bit of heat. Some might not consider it spicy enough for their personal tastes, though. I have a few in my life that like to really feel the burn, so a bottle of Ghost Pepper Sauce is perfect to have on hand. This is the one to have for the person who always says there isn’t enough heat. If a Ghost Pepper doesn’t do it for them, then they might have killed their taste buds and ability to register spices. Personally, I feel my sinuses open up and eyes tearing up just being near the open bottle. But, maybe it is just me that find some of the hot sauces a bit more than I want to handle! 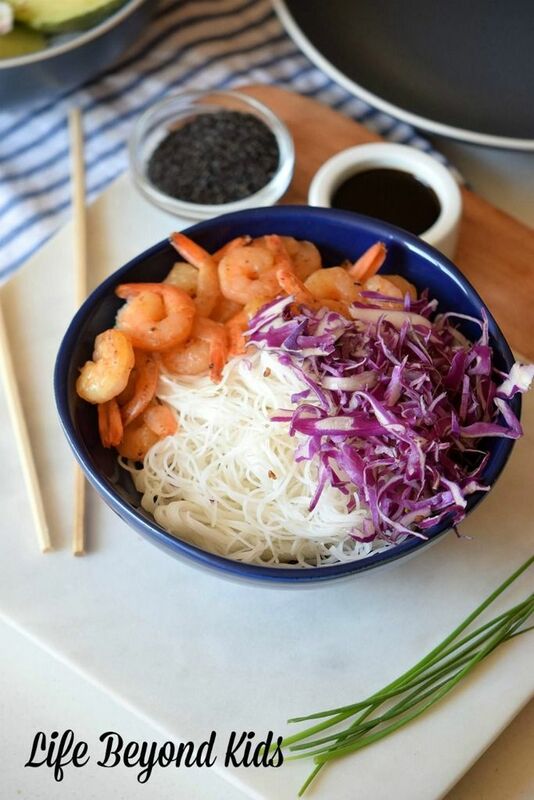 For the recipe images, a vermicelli-style rice noodle was used. There are a variety of thickness options for rice noodles, so pick the one you like the best. Marinate the shrimps in lemon juice, soy sauce, salt, and pepper. Take it to the fridge for at least 4 hours. Once the shrimps are marinated, cook the rice noodles following the packaging instructions. Heat a pan over high heat with olive oil. Cook the shrimps for 2 minutes on each side. Discard the marinade. Serve in a bowl with the noodles and red cabbage. Do you enjoy eating shrimp? What ways do you prepare it or is it something you only buy when eating out? Halloween Giveaway: $65 to PayPal or Amazon!! When the weather gets cold, I love a warm bowl of food to wrap my hands around. And, Asian-inspired dishes are favorites in our house, too. 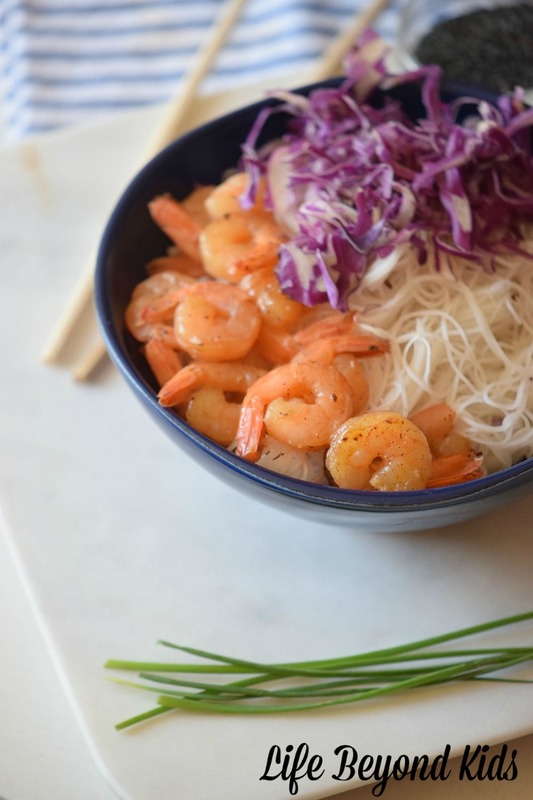 The MARINATED SHRIMP BOWLS look delicious and I want to make these for dinner. 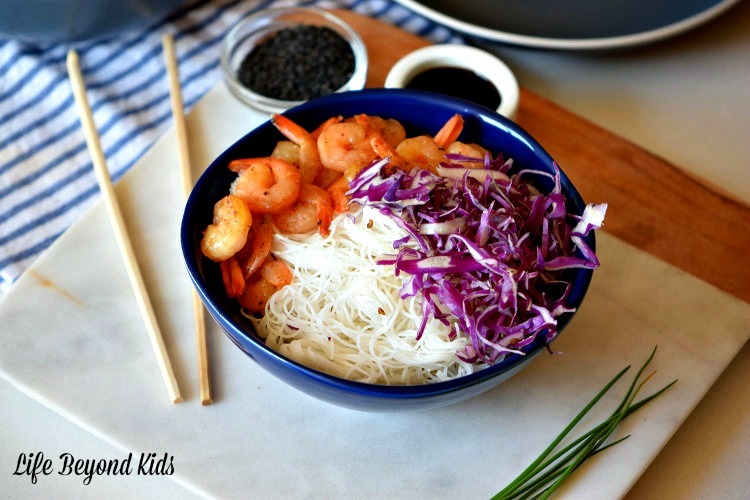 I like how easy they are to make and I have never tried rice noodles. They look delicious! 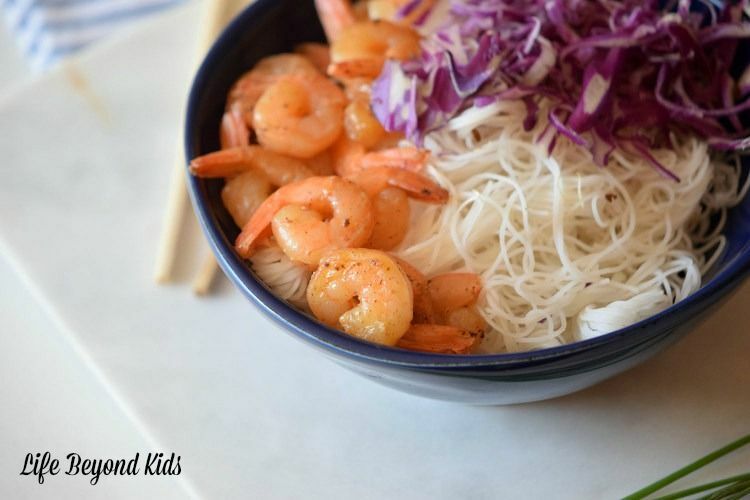 Rice noodles are a new favorite in our house. They are made a little differently than wheat noodles and I don't have to worry about gluten. A large percentage of of what you assert happens to be astonishingly legitimate and it makes me ponder the reason why I hadn’t looked at this with this light previously. This particular article really did switch the light on for me personally as far as this particular subject goes. However there is actually one point I am not necessarily too comfortable with so whilst I try to reconcile that with the core theme of your issue, allow me see just what all the rest of your subscribers have to point out.Nicely done. Ik wil je "stukkie" weleens lezen als je geen writers block hebt..hahahaDat zijn vaak de langste stukejs hÃ¨...de stukjes waarin je 'niks' te vertellen hebt.meis...wat een reis....je maakt nog eens wat mee zo ((-;je hebt weer zat mee gemaakt.ben benieuwd naar het resultaat van je workshop! !fijne avond...liefs Carla.